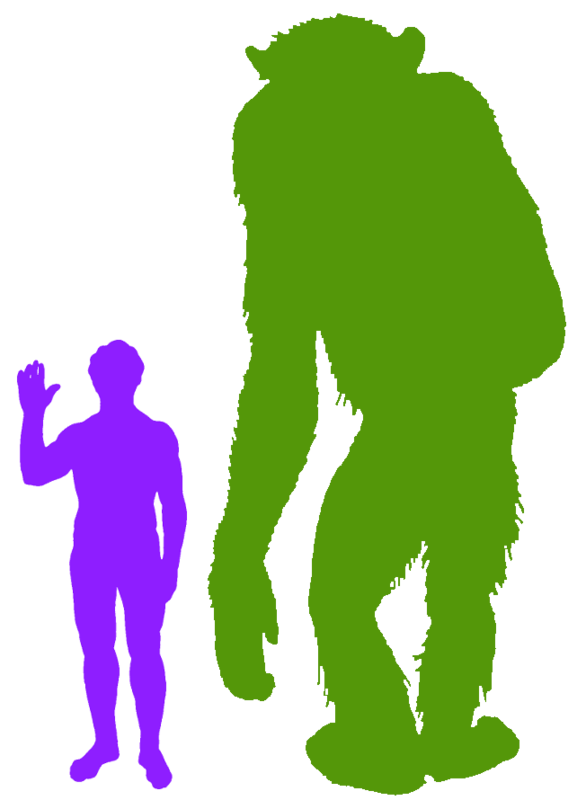 Gigantopithecus is the largest primate that ever lived. It existed 300,000 years ago. Its fossils have been found in China, India and Vietnam . It is closely related to the apes. The male Gigantopithecus was about 3 metres (10 feet) tall and weighed about 540kg (1200 lb). Some people still believe that it survives in remote parts of Asia until today. These people call it the Yeti, the Yeren or the Mande-Barung. However, most scientists are quite sure the Gogantopithecus died out long ago. The only things that have been found from Gigantopithecus are fossilized teeth and jawbones. Its fossilized teeth and bones are often ground into powder and used in the traditional Chinese medicine. Unfortunately we can’t be sure how Gigantopithecus moved around, because no hip or leg bones have been found. Scientists guess that it is actually 2 to 3 times heavier than modern gorillas and nearly 5 times heavier than the orangutan, which is the living primate it is most similar to. 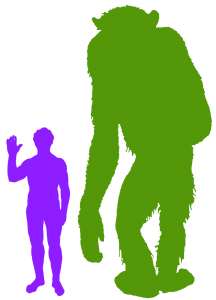 The adult female Gigantopithecus were half the weight of the males. They lived in a bamboo forest. Its fossil have been found together with extinct types of panda. Therefore, it has been concluded that these huge Gigantopithecus were plant eaters. Their jaws are deep and very thick. Its teeth and jaws are suitable for tough grinding and chewing tough fibrous food, like bamboo. The cavities in its teeth are similar to those found in giant pandas. Apart from bamboo, it probably ate seeds and fruits too.